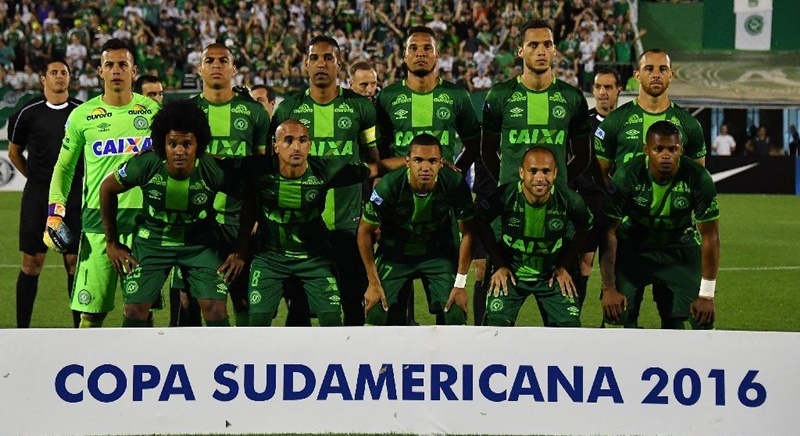 FOOTBBALL: Colombian club Atletico Nacional on Tuesday (Nov 29) called on football authorities to hand the Copa Sudamericana title to their opponents, Brazilian side Chapecoense, as a tribute to the team’s players killed in a plane crash. The Colombian side made the request to regional football confederation Conmebol in a statement. It asked of Conmebol “that the Copa Sudamericana title be handed to Chapecoense Football Association as an honorary trophy for its great loss, and as a posthumous homage to the victims of the fatal accident that has put our sport in mourning”. Chapecoense and Atletico Nacional were supposed to have faced off on Wednesday (Nov 30) in the first leg of the final of the Copa Sudamericana, the second most prestigious club football tournament in South America after the Copa Libertadores. Conmebol said in a statement earlier that the match was suspended until further notice. A source close to Conmebol said it was “very unlikely” that the final would ever be played. Nine members of the Brazilian team did not travel to Colombia. Chapecoense Real had risen from obscurity to reach the Copa Sudamericana finals. The Lamia airlines charter declared an emergency at around 10:00 pm (local time), reporting it had suffered “electrical failures,” and crashed a short time later near the city of Medellin, officials said. Authorities said just six of the 81 people on board were thought to have survived.